Scales general PC resolutions to HDMI 1080p/720p output. 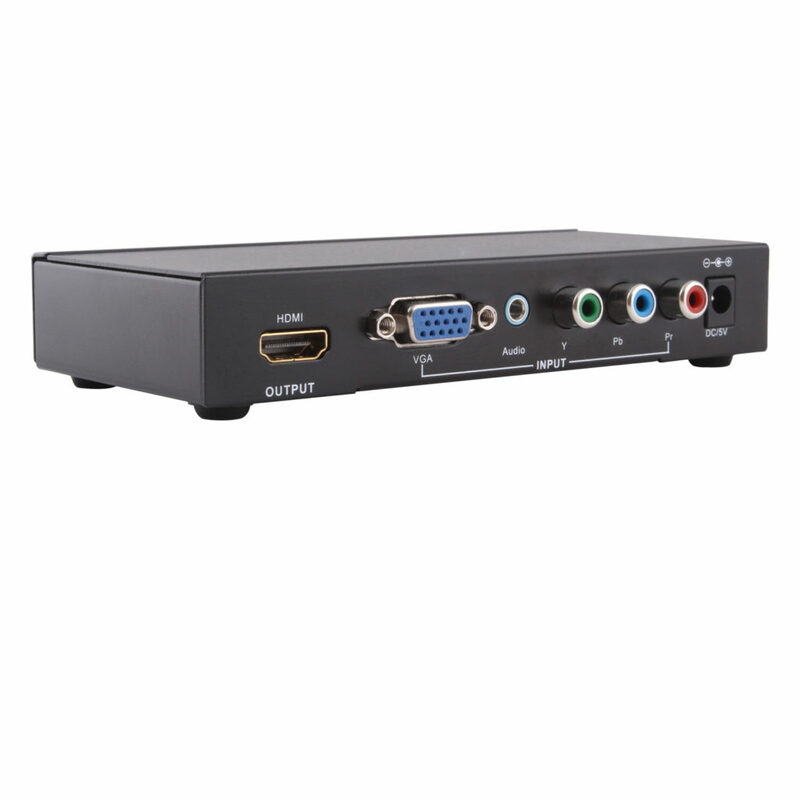 Scales general HD (480i ~ 1080p) resolutions to HDMI 1080p/720p output. 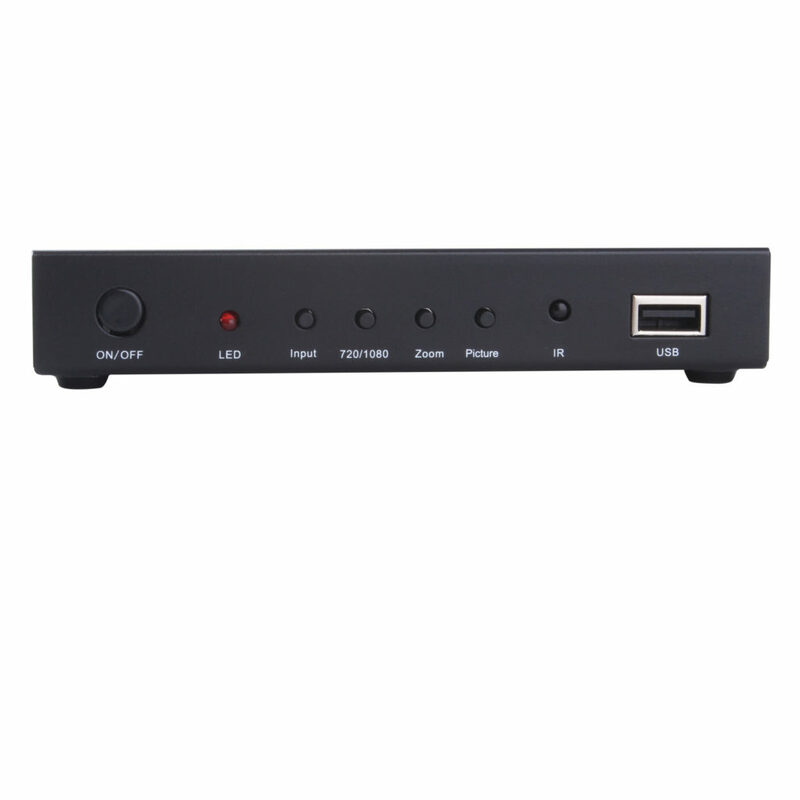 Support USB device connect(for play movie or music etc.). 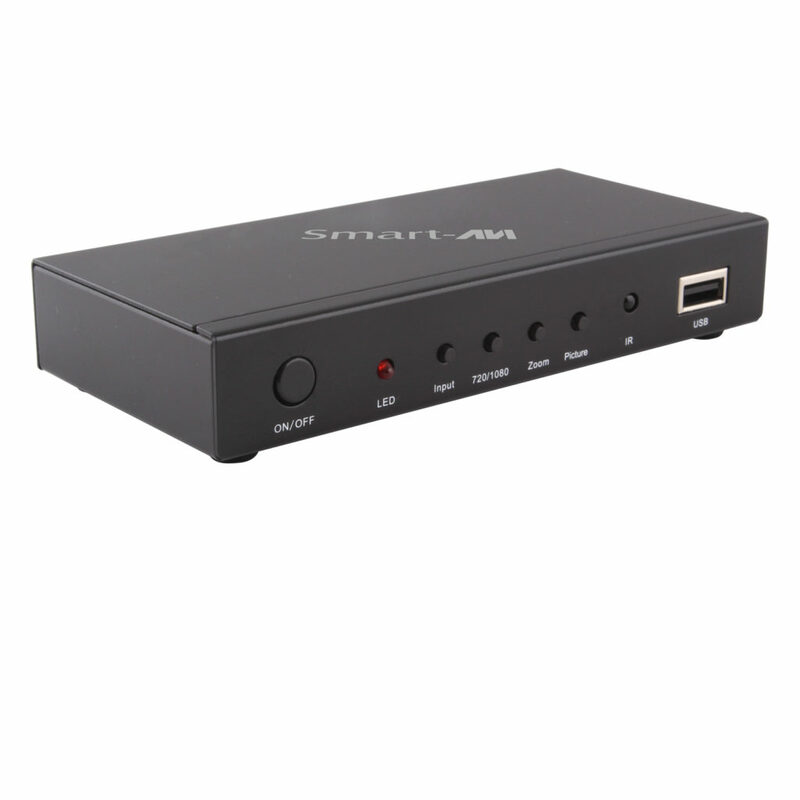 Original Scaler button control the output screen to any size. 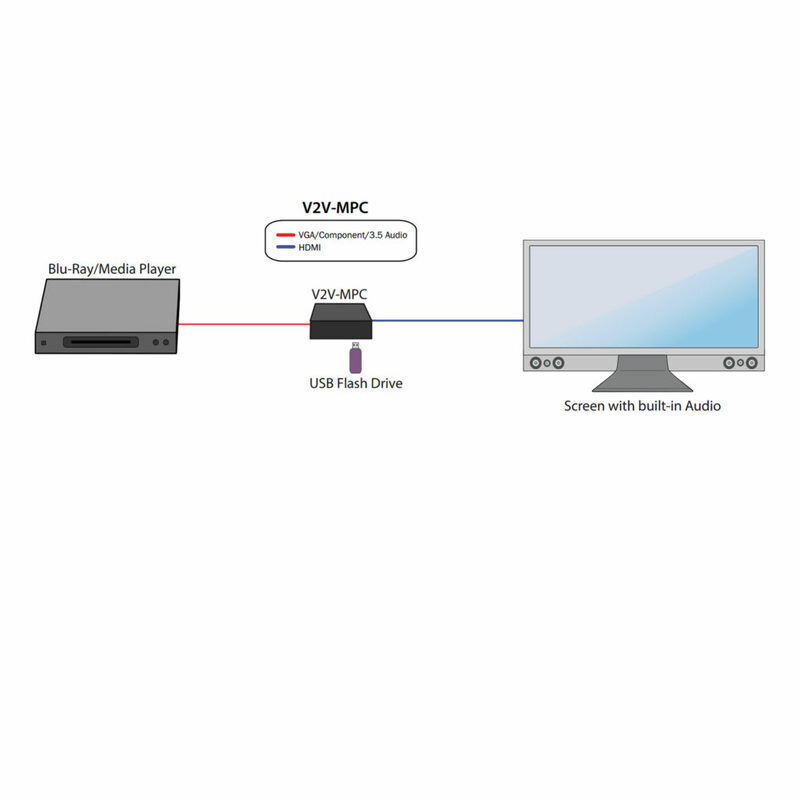 Auto detect the YpbPr and PC input resolutions format. High quality, state of the art motion adaptive deinterlacing for 480i and 1080i input. 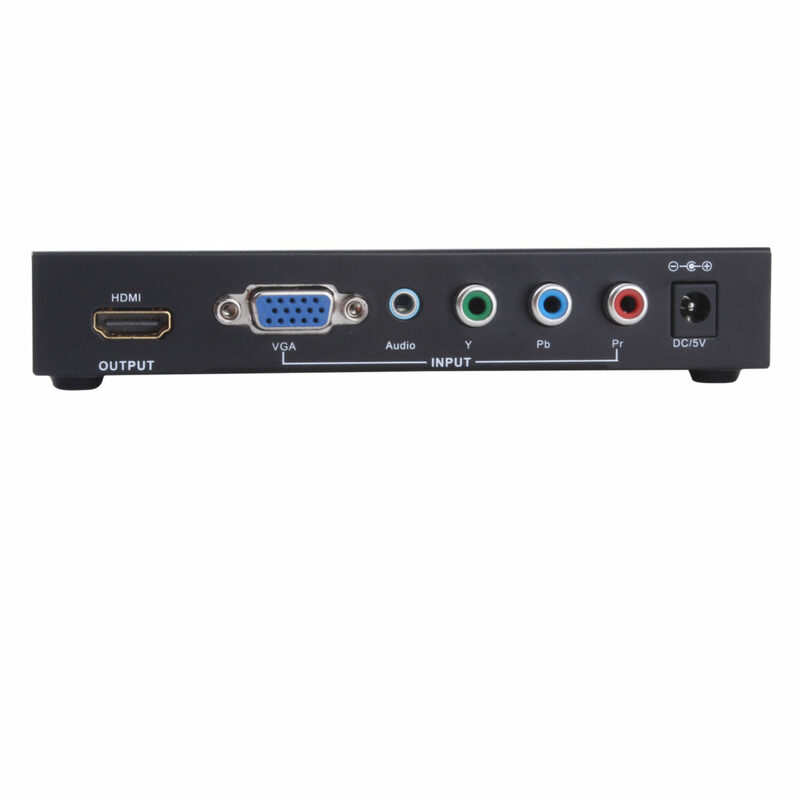 High quality scaling technology for progressive input resolutions.